Throughout industry there are various working practices and techniques for cleanroom contamination control and choosing the correct approach for an individual cleanroom can be a confusing process. Unfortunately there are no defined procedures or controls that can be applied to make it simple for cleanroom management. Cleanrooms can be subject to different environments and activities that have a profound effect on the way cleanrooms are operated and how they perform. Without suitable disinfectants, even the most high-tech cleanrooms with robust hygiene procedures and working practices may eventually fail. Disinfectants are a diverse group of chemicals that reduce the number of micro-organisms present within any given area. Disinfectants vary in their spectrum of activity, modes of action and efficacy. For example, some disinfectants are effective against vegetative Gram-positive and Gram-negative micro-organisms only, while some are effective against fungi. Is there a requirement for sporicidal agent? Are the biocides registered to the Biocide Product Regulation (BPR)? Rotation of disinfectants is a critical consideration when designing cleaning regimes. Although not clearly defined by regulatory authorities, the rotation of disinfectants is certainly a regulatory expectation and has been for many years. The fundamental purpose of disinfectant rotation is to prevent selection for resistant organisms, not to prevent organisms becoming resistant to disinfectants, as widely believed. For this reason you must rotate the biocide ensuring that the base chemicals are different, for example, a quaternary ammonium rotated with diamine. A rotation programme should include chemistries that control a wide variety of organisms and which mitigate against damage to cleanroom surfaces. It is also important that a sporicide is included as part of the cleaning rotation. Spores can exist in a vegetative state often in unfavourable conditions, remaining intact and unaffected by routine biocides. Sporicides kill bacterial and fungal spores, vegetative micro-organisms and viruses. As oxidising agents they react with critical systems within microbial cells, bringing about rapid destruction. The frequency of biocide rotation – switching the base chemical – is borne out of evaluating environmental monitoring. Environmental monitoring data should be reviewed for microbial trends, allowing frequency of cleaning and disinfection to be based on risk. Understanding how your cleanroom is performing, the type of activities undertaken in the cleanroom and the number of operators within the cleanroom will all have an effect on the extent of controls required. Undertaking a risk assessment to determine the operating conditions of your cleanroom is the first step. This assessment will assist in identifying the measures that need to be applied for adequate rotation. Start with higher requirements, assess microbial data for a set period and realign cleaning requirements after evidence of successful periods of control. Wherever biocides are used then residue will exist. The amount of residual biocide remaining on a surface is important to understand so that effective removal methods can be adopted. Within the cleanrooms, where air changes are high, aqueous disinfectants dry quickly. Residues can mean continued antimicrobial activity; however, residues can be sticky, trapping dirt and debris and inactivating other disinfectants. This residue, if not addressed, can have an impact on cleanroom integrity. Micro-organisms that are exposed to the disinfectants for the recommended contact time will be killed. Redditch Medical recently studied microbial activity assessing wiping performance in real practice conditions following the guidance of EN16615. This study demonstrates that contamination control can be improved by spraying and wiping surfaces to mechanically lift and remove surface contaminants. 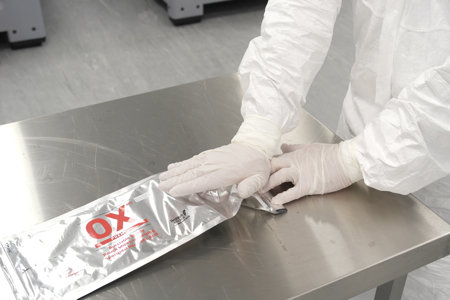 InSpec is designed to offer complete cleanroom contamination control. The technical team at Redditch Medical can assist with all cleanroom contamination control requirements, designing working practices and making recommendations to meet the unique needs of every cleanroom. Controlling any cleanroom is a fine balance; just like choosing a disinfectant, it is a balance between safety, modes of action, efficacy, contact times, corrosion, residue, shelf-life and in-use shelf-life, not to mention convenience of use and cost. As cleanroom users, the designers behind InSpec understand regulators’ expectations – including robust validation programmes demonstrating reasoned selection, challenge of site isolates and in-use efficacy that keeps the cleanroom micro-organisms in control. 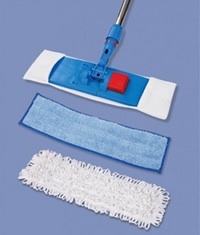 Sporicidal wipes and mops are somewhat rare in the cleanroom industry. 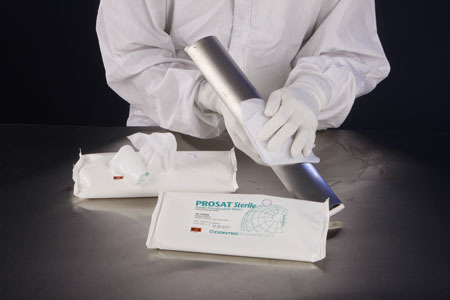 The contamination control division at Redditch Medical recently developed an innovative burstable pouch system now available in the InSpec range as a wipe or mop system. 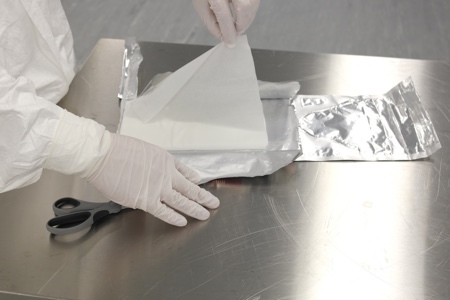 This unique concept preserves the integrity and efficacy of both the physical wipes and the sporicide or biocide solution until the pouch is activated at the point of use. 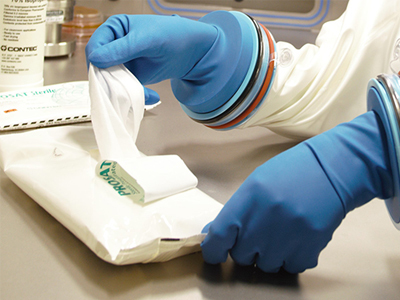 The impregnated wipes are sterile and convenient to handle; no added complications, such as mixing or waiting, are required by the operator. Packs are designed for session use and can be scaled to individual user needs. This ensures that there is no issue to product sterility and integrity exceeding more than one day’s use. All InSpec solutions comply with EU GMP and CLP standards and are fully validated by independent bodies in industry and academia. 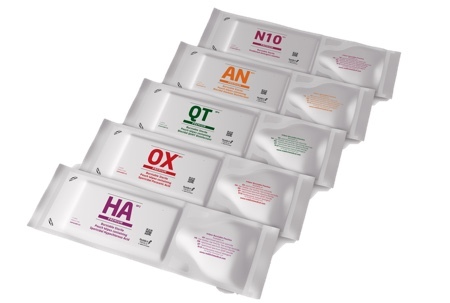 Redditch Medical is supporting all products through the Biocide Product Regulation. 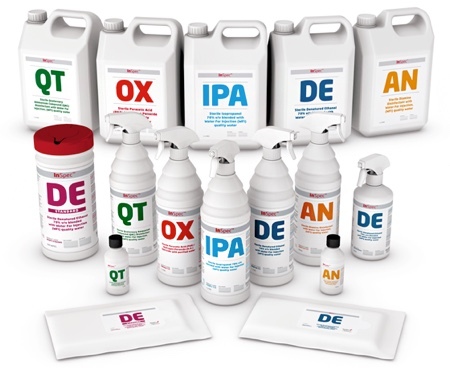 Selecting a disinfectant can be time-consuming enough, therefore it is imperative that all end users are aware of this registration process. Some biocides must be registered as early as this year. Redditch Medical products are Article 95 registered and programmes are in place to ensure registration according to BPR timings. Supply issues with disinfectants can shut down a cleanroom. Choose products that are available off-the-shelf and can be despatched the same day. 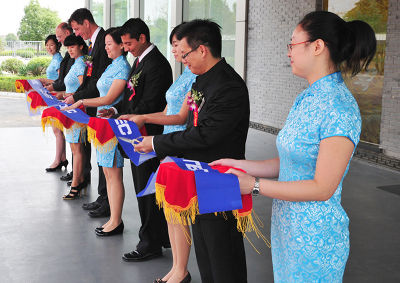 Concurrent planning ensures every step of production considers individual customer needs. With modern cleanroom operations, service performance is as critical as efficacy performance.